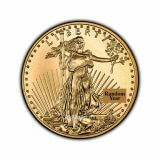 The American Gold Eagle 1 oz is a popular gold bullion choice worldwide. 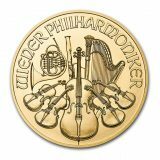 In 1986, the United States Mint introduced this series in four sizes (1 oz, ½ oz, ¼ oz and 1/10 oz). From 1986 through 1991 the US Mint dated these coins using Roman Numerals. In 1992 the US Mint began using traditional Arabic Numerals on the American Eagle 1 oz. On the front of the American Gold Eagle coin is a depiction of Liberty taken from the famous $20 gold piece designed by Augustus Saint-Gaudens. The back of the American Gold Eagle 1 oz features a family of eagles and includes United States of America, E Pluribus Unum, In God We Trust, weight (1 oz fine gold) and its symbolic legal tender value ($50). 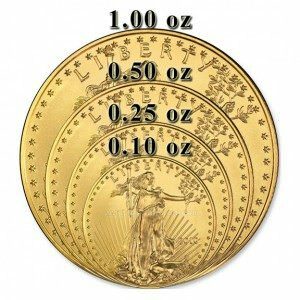 Because of its popularity the US Mint produces quantities of the American Gold Eagle 1 oz each year – all of which closely follow the price of gold. 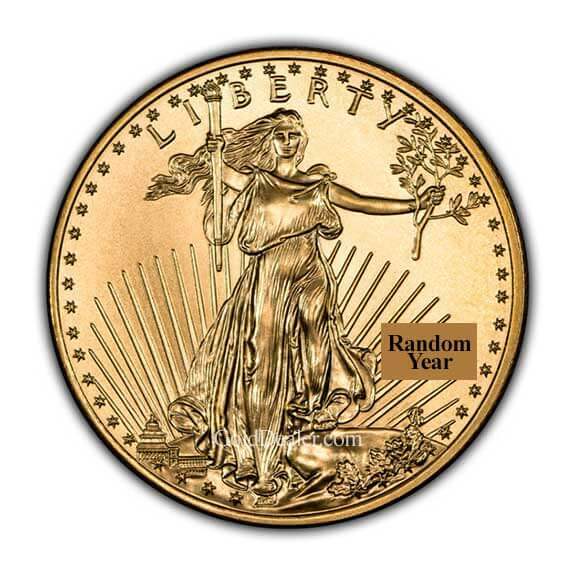 Reasons for its popularity include: (1) The American Gold Eagle 1 oz appeals to a worldwide audience because of its low premium. It is a popular choice for Individual Retirement Accounts. 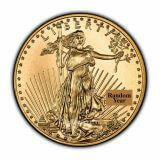 (2) The American Gold Eagle is easy to buy and sell because dealers worldwide post daily buy and sell prices. (3) The American Gold Eagle 1 oz contains one ounce of the gold – valuation is simple. (4) The US Mint places 20 of these gold coins in a plastic tube which allows for easy storage. It also produces a composite box which contains 500 American Gold Eagle 1 oz coins (25 tubes of 20 coins) – an industry standard for large transactions. 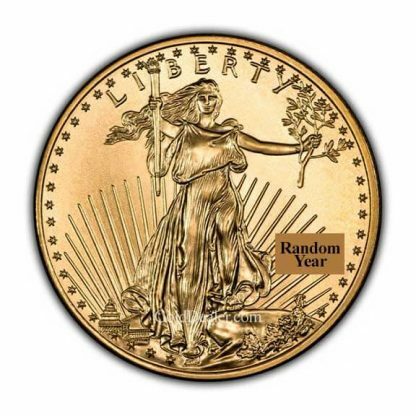 The US Gold Eagle 1 oz has no dealer reporting requirement (Federal Form 1099B) when you buy or sell. I’ve used this store off and on for over 10 years, both buying and selling in person. Always a pleasant professional exchange. I won’t go anywhere else. dealings. I love their new website. I now live in Louisiana and still buy from them. Keep up the same integrity you have always displayed. Even though the premium of Eagles is higher than other coins, I’ll pay it for the peace of mind in these uncertain times, that when I sell or trade, there’s more “brand recognition” and comfort with it than a “foreign” coin. Same with doing business with CNI, maybe you’ll find “cheaper” prices on Ebay, but you can’t trust the quality or the dealer. With CNI, you can. They are honest and their products are genuine. I won’t go anywhere else. We purchased some gold eagles from the intelligent and friendly staff at CNI. Ken Slater explained how gold works for us verses the paper money. We also noticed a display area that showed various gold and silver coins with descriptions about them to educate us even more in this field. Everyone at the store was approachable and all of them answered our questions fully. If you’re hesitant about buying precious metals in person, Ken, Alex, and Harry will ease any concerns. We liked the security personnel throughout the premises. 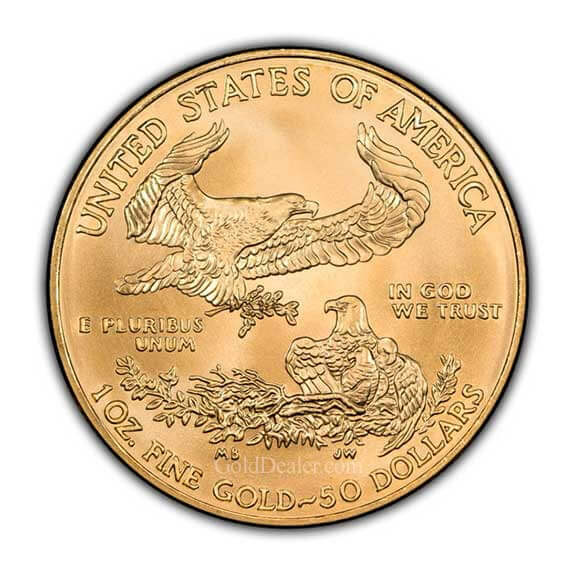 The gold eagles are real made-for-your-pocket type coins, yet they are also bullion. I find these make nice gifts (your gift will never be forgotten). I have been using CNI for about a year and a half after another company sold me what they did not have. This company, CNI, you can trust. very professional, informative and friendly. It’s time to buy gold and silver to protect ones self from the collapse of the dollar. Great people to do business with. The standard 1 oz. 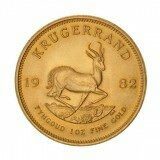 gold coin is the Eagle. This is a very attractive coin that I’ve purchased in plastic tubes, always in excellent condition and with great service from the staff that are always available to answer questions and help with choosing the coins with the best premium. I have purchased from CNI for over a year and found all staff members to be very professional and helpful, especially Harry. They have the best prices. I will buy from them again. Great people to deal with. I’ve made 5+ transactions with them, all excellent. Best pricing I can find on the net. I have been buying Gold from golddealer.com (CNI) since 2013. CNI is very professional and honest. The Sales Rep gave me good explanation about a particular product. Sometimes you find some product with the price lower than CNI but it is not worth it because of the CNI Customer Service, and this company is very trustworthy. Been buying from you guys for a long time. You always showed the spread over spot on the buy and sell side. Buy the seller not the coin. The coin is solid, so is CNI, been a customer for over 10 years. Ask for Dana. I have been dealing with Dana and Gold Dealer for ten years, who have provided top flight advice, service and pricing. I would not even consider going anywhere else for PM’s. 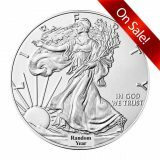 I have owned a number of struck coins but prefer US Eagles because they have by far the best recognition, should I be put in a position of selling them under some type of disaster scenario. Lesser traded coins from other nations…. probably not so much. Thanks Dana and Gold Dealer for great service and products with a track record and reputation that can be trusted. 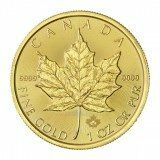 A recent report I saw stated that up to 40% of “gold” coins are gold plated tungsten, like the huge delivery to the Chinese a decade ago.